Born in Bellingen on the North Coast of NSW in 1978, Melanie Waugh now lives and works in Sydney. Her narrative paintings combine a love of the landscape along with drawing and painting the figure. 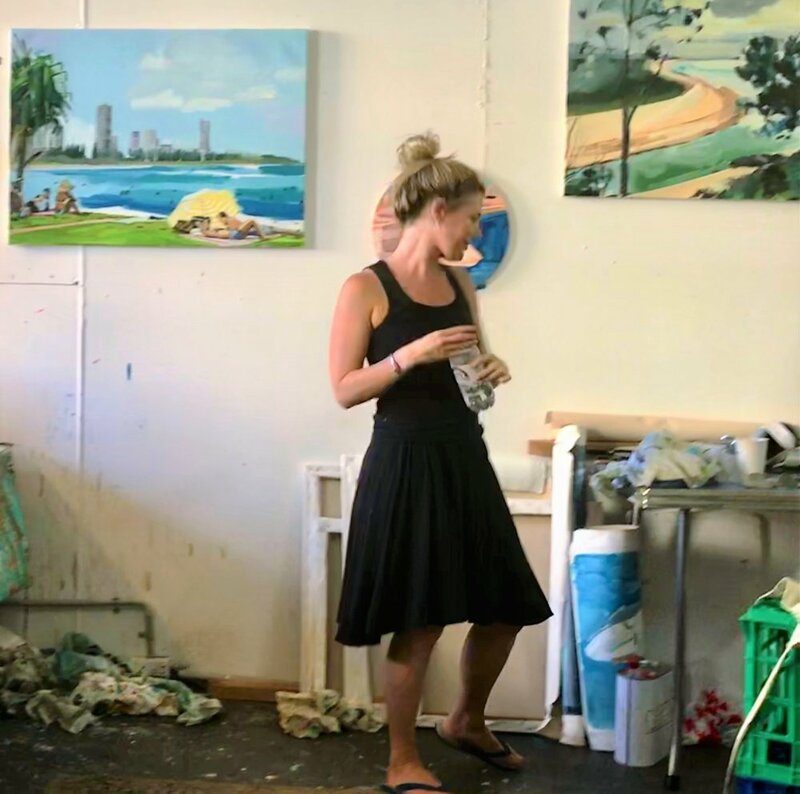 She completed a Fine Arts Degree from The National Art School in 2001, a Diploma of Art Therapy from the University Of Western Sydney in 2005 and in 2007 a Masters Of Art from the College Of Fine Arts. Melanie was the Curwoods Lawyers Artist In Residence in 2012 and has had solo exhibitions in both Sydney and Melbourne. In 2017 Melanie was a semi finalist in the Doug Moran Portraiture Prize. She has exhibited in a number of group exhibitions throughout Sydney and her paintings belong to many private collections.